А medieval necropolis with a total of 22 skeletons, some of which buried with precautionary rituals against their takeover by evil forces (such as vampirism), has been found during the recent excavations of the 11th century Gorni Voden (“Upper Voden") Fortress near the Southern Bulgarian town of Asenovgrad. The necropolis with the 22 graves was excavated in the summer and fall of 2014 but has been announced just now by Ivan Dukov, Director of the Asenovgrad Museum of History, as cited by the Bulgarian information agency Focus. The necropolis is located to the east of the center of the Upper Voden Fortress, and does contain several graves in which the skeletons show traces of posthumous mutilations such as the cutting off of the dead person’s feet which in the Middle Ages was one of the possible rituals designed to prevent them from turning into a vampire. The discovery of graves with traces of different anti-vampirism rituals performed on the deceased is nothing new for Asenovgrad, nor is it new for Bulgaria where in the past couple of years archaeologists have come across a number of medieval graves with skeletons that had been pierced with metal spikes or wooden poles, had had different body parts cut off, or were buried with their feet tied as a precaution against their rising from the dead. For example, back in 2013, the archaeologists excavating the Upper Voden Fortress unearthed a total of 35 graves; they found traces of posthumous mutilation rituals in 7 of them. In addition to people who were feared that they become vampires or be taken over by other types of evil forces after their death, criminals are also believed to have been buried with such rituals. “We have detected several types of burial facilities. We have also encountered many secondary burials." Dukov and his colleague Rositsa Markova have recently presented to the public some of the artifacts that they discovered during their excavations over the past few months at the Upper Voden Fortress and at another medieval fortress nearby, Asen’s Fortres, both of which are located near Asenovgrad. In the same media interview in which he announced the discovery of the newly found medieval necropolis dating to the 12th-13th century AD, i.e. the late years of Byzantium’s occupation of medieval Bulgaria (1018-1185 AD) and the early years of the Second Bulgarian Empire (1185-1396 AD), the Director of the Asenovgrad History Museum has provided more information on the recently announced discovery of three medieval lead seals. The three lead seals found at the Upper Voden Fortress are connected with 11th century Byzantine dignitaries that governed the then province of the Byzantine Empire corresponding to today’s region of Thrace (Southern and Southeast Bulgaria) – Gregory Kurkua, who was the Duke of Plovdiv (known at the time with its Greek name Philipopolis), and Gregory Pakourianos (Gregorius Pacurianus), a very powerful 11th century Byzantine politician of Georgian origin who is known as the founder of the Monastery of the Mother of God Petritzonitissa in Bachkovo, one of the most revered monasteries in today’s Bulgaria also located near the town of Asenovgrad. 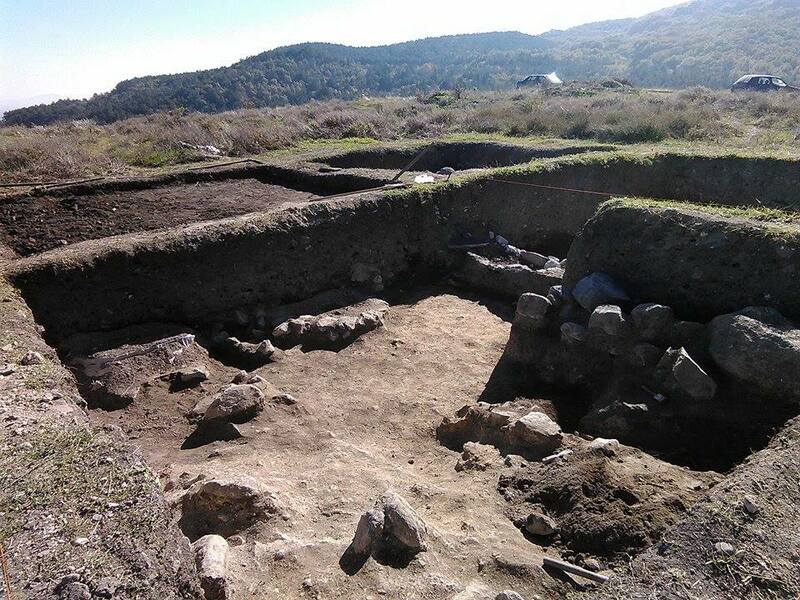 Dukov points out that the local archaeologists have not discovered new remains of buildings in the several zones at and around the Upper Voden Fortress which they excavated for the first time in 2014. “This was very surprising for us because this fortress was the residence of Gregory Pakourianos who was a very influential figure in Byzantium at the time. This might be taken to mean that by the end of the 12th and the beginning of the 12th century the fortress no longer existed as such, and that it was transformed into [a site for] a necropolis," he stipulates. In his words, even if some additional architectural structures existed around the known parts of the Upper Voden Fortress, they might have been destroyed during the creation of the necropolis that the local archaeologists have now unearthed. Dukov notes that the most important of the three lead seals discovered recently at the Upper Voden Fortress belonged to the Duke of Plovdiv, Gregory Kurkoa, who ruled the region in 1086-1091 AD. Kurkoa, who is believed to have had permanent correspondence with Gregory Pakourianos (Gregorius Pacurianus), the feudal lord residing at the fortress in question, is known to have died in 1091 AD as stated in an inscription found in a church at the town of Baktun located to the west of today’s Asenovgrad. The second lead seal belonged to a man called Constantine Xenothynos who had the title of “bestius" meaning he was in charge of taking care of the clothing of one of the rulers of Philipopolis (today’s Plovdiv). The third lead seal found recently at the Upper Voden Fortress in Southern Bulgaria is anonymous; its head features an image of Michael the Archangel (known in Bulgarian (Eastern) Orthodox Christianity as St. Michael the Archangel), and its tail has an image of the Holy Mother, Virgin Mary, Dukov explains. The Upper Voden Fortress, also known as Voden or Votina, located near today’s southern Bulgarian town of Asenovgrad is connected mostly with the role of Byzantine politician of Georgian origin Gregory Pakourianos (Gregorius Pacurianus), the founder of the nearby Monastery of the Mother of God Petritzonitissa in Bachkovo, which he established in 1083 AD. The Upper Voden Fortress was first excavated in the 1960s by Dimitar Tsonchev, and since 1976 – by renowned Bulgarian archaeologist Rositsa Moreva, who is also in charge of the current excavations. Evidence indicates that the Upper Voden Fortress (located on a strategically important mount with an altitude of 516 meters, overlooking the Thracian plain) was first built in the 9th-10th century but on the foundations of a previously existing Early Byzantine fortress. In modern-day Bulgaria, not unlike all other archaeological sites, it has been damaged by treasure hunters but also by locals wishing to mine stones from it for house construction. Gregory Pakourianos (Gregorius Pacurianus) was an 11th-century Byzantine politician of Georgian origin who is said to have been the second most powerful man in the Byzantine Empire after the Emperor himself. Gregory Pakourianos is known as the founder of the Monastery of the Mother of God Petritzonitissa in Bachkovo, one of the most revered monasteries in today’s Bulgaria also located near the town of Asenovgrad. It was established by him in 1083 AD. Byzantine Emperor Alexios I Komnenos appointed him “megas domestikos of All the West" meaning he was the supreme commander of Byzantine forces in Europe. He died in 1086 AD fighting the Pechenegs at the Battle of Beliatoba (today’s Bulgarian town of Belyatovo).